Managed WordPress hosting is an option for professional bloggers who need to spend more time generating content than managing the mechanical aspects of their site. WordPress has become a very popular platform for many people seeking a simple way of running a website that can be updated easily and quickly, and is responsive to changing trends. However, it has some disadvantages, particularly with regard to technical expertise and support. Generally, WordPress has been run from a directory on a regularly hosted website. Most regular web hosting services offer ‘one-click’ installation of WordPress from the control panel. However, neither the hosting nor the support system has been developed with WordPress in mind. This situation has now changed. A new type of web hosting as been designed specifically for WordPress users and offers technical help and support for WordPress sites. This is known as managed WordPress hosting. Here are some of the advantages of using this type of hosting for your WordPress blog, and also some of its negative aspects. 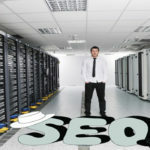 This type of managed hosting looks after the day-to-day maintenance of your site and is popular with professional bloggers. The hosting is designed specifically for WordPress, and also offers a full support service. WordPress support is usually difficult to find, and generally reliant on the WP forum. 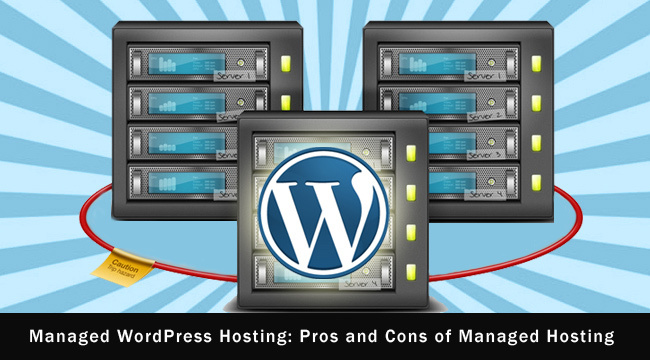 Here are some of the other advantages of using managed hosting for your blog. You don’t have to spend a lot of time learning how to run WordPress or wondering about what plugins you should use. You don’t necessarily have to understand CSS or HTML to make changes to your templates. This all take care of while you can focus on your content, thus saving you a great deal of time. Your site will load considerably faster so that fewer people will leave your blog before it fully loads. This not only ensures a higher stick rate, but Google uses the bounce rate as a metric in determining your ranking. This is achieved using effective caching systems and Content Delivery Network. With a content delivery network you get your cached content provided by the node nearest to you, or that can most quickly provide you with your data. Web hosts such as HostGator or Bluehost cannot and will not help you with WordPress issues. You may be referred to the WP forum, but you will find technical help difficult to find quickly. A managed WordPress hosting service will provide expert support when you need it – not a few days later. With managed hosting, you have a higher level of security with your data. It is backed up remotely for you, so you will never lose it, even if your system or that of your host crashes. You can forget security issues caused by malware and other vulnerabilities. All updates will be applied to your site as they are released. New versions of WordPress, plugin updates and even new technology will all be applied to your blog automatically. You no longer have to try to keep up with advances in blogging technology. Not everything about managed WordPress hosting is positive, however. 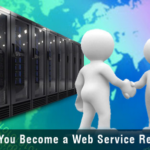 For a start, it is more costly than general web hosting, prices starting at around $30/month. Keep in mind that this replaces your regular web hosting, and is not an additional cost. You will also generally have a traffic limit, above which you pay extra. The more you pay for managed hosting, the more traffic you are allowed before paying extra. The same is true if you add extra WordPress installations. With WPEngine, for example, for $29/month you get 1 installation and 25,000 visitors/month, while for $99/month you get 10 installs and 100,000 visitors/month. This might not be a negative if you are not technical – in fact it would be a big plus! However, if you are a professional blogger who likes to have control over every aspect of your blog, you will lose a lot of this with managed hosting. Caching and updates, for example, will be out of your hands. You will still have control over content and the look and feel of your blog, but not the mechanics beneath that make it tick. As previously mentioned, if your blog is successful and you get hundreds of thousands, or even millions of visitors, it will cost you. This is fine if you get a good conversion rate in terms of cash, but managed WordPress hosting might not suit hobby bloggers whose visitors do not convert to cash. Just as an example, a typical charge for 400,000 visitors/month will be around $250/month. There is little doubt that managed WordPress hosting offers you advantages in speed and efficiency, and that it also leaves you more time to focus on creating content and getting traffic. 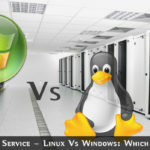 There are many positive aspects of managed hosting, but you pay for them. All things considered, a managed WordPress hosting service such as WPEngine will be beneficial to professional bloggers who make enough from their blog to justify the cost. It would certainly be useful to hobby bloggers, but only for those who don’t mind paying extra as their readership rises.